Twenty three women and a whole lot of bags will be the focus of much attention as part of the city’s celebrations for International Women’s Day on Thursday 8th March. The annual art exhibition, ‘Women in the Arts’, will be on display at c1907 Contemporary Artspace as part of this year’s festivities in the CBD. More than 20 of Cairns’ prominent and up-coming artists have been invited to explore the theme, ‘The Bag: Object or Obsession?’ Studios across Cairns have been a-buzz with activity as participating artists have been creating paintings, sculptures, ceramic and photographic works and, of course, a multitude of interesting bags. A Craft & Coffee morning will mark the first day of the exhibition and women of all ages are welcome to attend this skill-sharing event from 10.30am – 12.30 pm on Thursday 8th March. The first 50 visitors to the exhibition will receive a free limited edition ‘art bag’ give-away as part of this year’s celebrations. The gallery will also host an official opening on Friday 9th March from 6pm, with a curator’s talk and a chance to meet the artists involved in this year’s show. The inaugural ‘Women in the Arts’ event was launched last year by local artists’ cooperative, Knock Knock Contemporary Artists’ Initiative. The group runs a regular programme of art events encouraging local engagement in the contemporary arts. 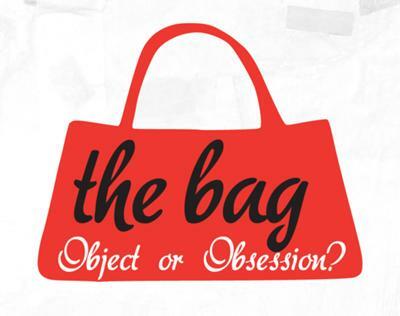 For many, the bag is both an object and an obsession. Most of the works on display will be available for sale and visitors to the gallery may be tempted to take home a new piece for their collection! ‘Women in the Arts’ will be on display until Thursday 22nd March. Coffee & Craft Morning: International Women’s Day, Thurs 8th March 10am – 12pm. All welcome. Light morning refreshments will be provided.  Local artists and craftsworkers will be at the gallery for skill-sharing & craft demonstrations. Bring along your latest project and meet with like-minded creatives. 	Limited Edition Bag Give-aways: Free ‘art bag’ with goodies to first 50 visitors to the exhibition.